Are Inefficient Windows Costing You Money? Homeowners like to replace old appliances with shiny new energy efficient ones. They also like to keep an eye on the thermostat, run major appliances after a certain hour, and monitor their home’s water usage. But did you know that drafty windows can add 10% to 25% to the average energy bill? It all has to do with air flow. When the weather turns hot, cold air can leak out through a drafty window. Old home windows are also fairly terrible at regulating temperature, so they soak up the hot sunlight from outside which heats up the house. Which then in turn makes the AC unit work harder at regulating the inside temperature. If this concerns you, replacement windows need to be on your To-Do list. Can Replacement Windows Save You Money in the Long-Term? As with any energy promise, replacement windows of better quality indicate that over time your energy bills will be lower. This will be caused by increased efficiency in temperature regulation, as well as an improvement over drafts. While you may be tempted to replace every window in your home it probably won’t be necessary. How Can I Tell If I Need Replacement Windows? Windows do not last forever, even if they have been carefully maintained. While a broken residential window is an obvious candidate for replacement, there are a few other signs to look for if you don’t plan to change every window in your home. This is a common sentiment, as window replacement runs on average $300 to $700 per window. Essentially, any window that no longer does its job needs to be repaired. Frequently the problem lies not with the actual pane but with the window frame. Houses change over time. Heat and cold fluxes cause wood and other building materials to constrict or swell, which can cause warping. After years of such abuse, a window frame could easily stop closing fully. This lets air flow in and out easily, and that is a big problem if regulating a home’s temperature is a priority. The HVAC unit will be fighting to keep the interior of the home at a set temperature. What Benefits Can Replacement Windows Give My Home? In one survey by the National Association of Realtors, about 80% of homeowners said that their replacement windows had a return on investment (ROI) of 80%, which means that there were noticeable savings on their energy bill or they were able to increase the asking price for their home with their new window installation. If you are planning on selling your house soon this might be a good tactic to set your home apart from the rest. However, do keep in mind that simply replacing a broken window will do wonders too. If it is within your renovation budget prior to selling, great. If not, focus on making sure the window panes match. Is There a “Best Window” For Residential Homes? The best windows are those that do their job efficiently. They keep outside air out and indoor air in, and by doing so keep our houses at a comfortable temperature. 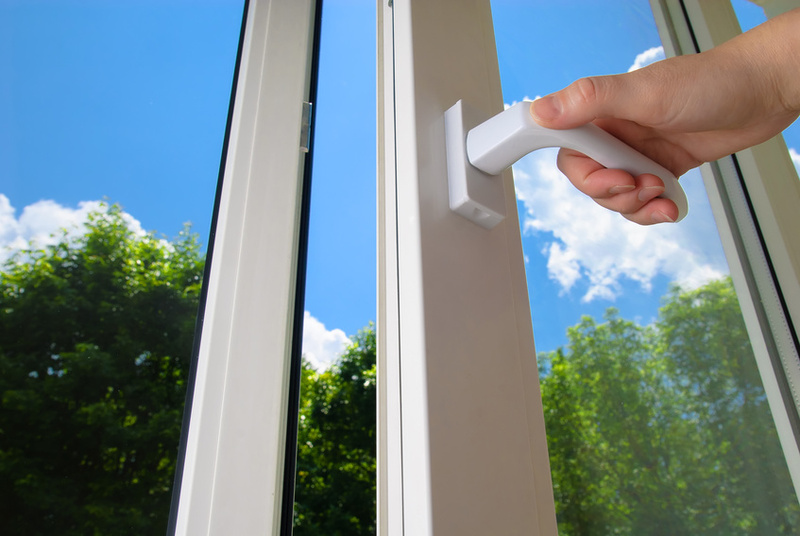 Energy efficient windows go one step further. These windows are great at keeping hot air outside instead of absorbing its heat. This choice might be for you if you live in a climate of extreme heat and extreme cold. Or perhaps if one side of your home receives an abundance of sunlight. Either way, there is no need to replace every window if that is not within your current budget. Replacing old windows can help you save money on energy bills. It has also proven to be a good return on investment for many homeowners. If you are thinking of upgrading your windows the first step is inspecting your current ones for drafts and warping of the frame. From there you’ll have a good idea of how many you might need to replace. Should you choose to do a minor renovation and invest in new windows make sure you understand proper maintenance. Taking good preventative care of your new windows can help them last 20 years or more. That’s a good long while to feel comfortable in your home. This entry was posted	on Friday, September 1st, 2017 at 9:09 pm	and is filed under Best windows chicago, Chicago window installation, Commercial windows. You can follow any responses to this entry through the RSS 2.0 feed. You can leave a response, or trackback from your own site.